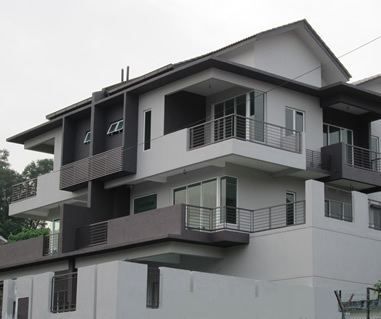 We are the building contractors that specialize in all kind of renovation and construction works in Klang Valley since 1975. With over 38 years' experience in renovations and construction industry, we pride ourselves on excellent transformation of client’s ideas, desires and dreams into reality, style and elegance. From land, RC civil works, building structure, to extension works (kitchen, car porch, etc) and interior finishing, we can offer you a full range of quality renovations and construction works to ensure meet and exceed your expectation. Construction, renovation or extension isn’t simply about knocked down the wall and start over by stack up the bricks and lay the concrete. It does need someone expert to build the rigid foundation and structure for the sweet home for your beloved family and you too. We have much of experiences in foundation and structural works to ensure the proper foundation and safety for your lovely home.